Secure SHell (SSH) is great for most applications, but sometimes you just want to connect to the graphical desktop of another computer. 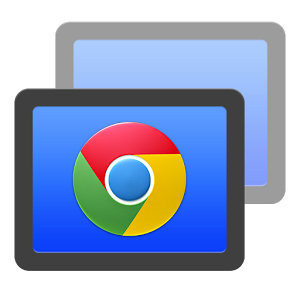 The Google Chrome Remote extension allows you to connect over the Internet with computers running any operating system—Linux, Mac OS, or Windows—with no network or software configuration required. With the iOS or Android app, you can even connect from your phone! Connections from Linux has always been available, but I just realized that connections to Linux computers are now supported! Not sure how I missed this: apparently this beta download was first announced on 2014-07-07. For Ubuntu and other Debian-based systems, there are both 32-bit and 64-bit versions of the application available. All you have to do is install the Google Chrome Remote extension on both computers and follow the instructions to enable remote access. Press 'connect', type in a PIN, and you're in! In Ubuntu, you can even customize what window manager runs when Chrome Remote connects by customizing a script at ~/.chrome-remote-desktop-session (remember to make it executable with chmod ugo+x ~/.chrome-remote-desktop-session).